I was watching recently an interview with Ben Hogan, and he shared a secret to his success that a lot of golfers would have missed. You see, Hogan was talking about how he loved work and how he would play 36 holes a day in tournaments. He went on to explain that he would play 18 holes on the practice range before his 18 holes of tournament play. He would play each shot on the practice range as though he was on the golf course. He said he arrived early to do that. Then he would spend about 30 minutes on the practice putting green before his tee time. So if one of the best golfers who ever lived did that, shouldn’t you too? But I’m not talking about immediately before your golf games. Because if you did and you really played 18 holes on the practice range before your game, you’d have to be at the golf course about 2 hours before your tee time. However, every day, at home you can do something similar. You don’t need to hit balls to do this either. 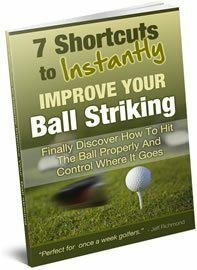 What you should do is imagine playing holes at your local course, and go through your full routine for every shot. Don’t muck around when doing this. Don’t just go through the motions, because you’ll be wasting your time if you do. Instead, be like Ben Hogan and treat every imaginary shot with total respect. And you can include putting when you do this. Put down a ball and imagine yourself putting your ball into the hole. Remember, go through your full routine when you do this. Treat this practice like you’re playing a real game. If you make this a habit you’ll score a lot lower when you go to play. 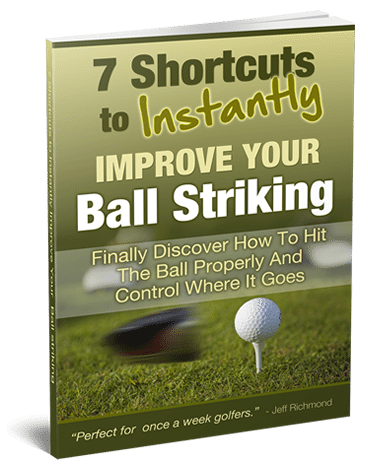 This is great practice for golfers that can only play once a week at the most.